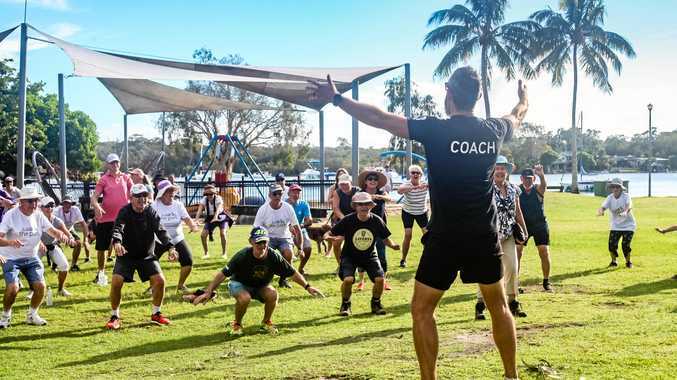 DRUG abuse is a massive concern for the CQ community and drug counsellor Travis Rogers is on the front line doing his best to tackle the problem. Last week, the federal government provided a timely funding boost to Lives Lived Well, a not-for-profit organisation Mr Rogers, 40, works for as an alcohol and other drugs counsellor. Lives Lived Well is a leading, non-government organisation for people who are experiencing difficulties with their use of alcohol and other drugs or mental health providing a range of free and professional treatment options. "We are flexible with face to face counselling, over the phone counselling and group sessions are available," Mr Rogers said. "Our services are free, it's all ages and professional. "It's not just for people who are struggling with their drug use, but also their families." He said over the past last 6-7 weeks they had seen an increase in activity with a lot of referrals to his organisation and of those 40% were self referred. "People are wanting and seeking change and our key message message is there's no shame in seeking help," Mr Rogers said. Across Central and Southwest Queensland in 2016/17 financial year, he said almost 40% of their clients had stated that methamphetamine (ice) was their primary drug of concern followed by alcohol (35%) and cannabis (23%). Although they were seeing a trend towards more people seeking help from organisations like his, he cautioned against hysterical claims of "ice epidemics" given that ice use in the population is not high as a percentage (2% nationally). "However the problem has serious impacts on the person's health and the families and that's what we're witnessing," Mr Rogers said. "And that's why it's good we're expanding our services across the region of CQ." Speaking at the official launch of the expanded services last Tuesday, Federal Member for Capricornia Michelle Landry said the additional $224,000 federal government funding was a vital boost to after-hours and crisis care support services for people across Capricornia. 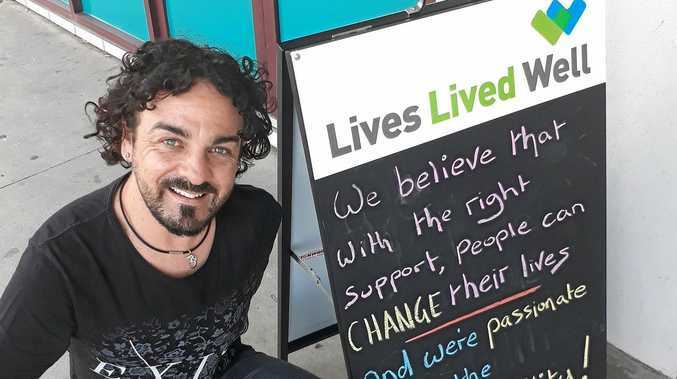 Lives Lived Well CEO Mitchell Giles welcomed the funding saying it would allow the organisation to increase its reach to help many of the people seeking support in the areas of Rockhampton, Gladstone and Biloela who were experiencing problems with ice. "While ice is a focus, our counsellors are trained to work with people who have problems with any kind of drug, including alcohol, and can offer care and support for a range of needs, from mild to complex," Mr Giles said. Mr Rogers said in Central Queensland during the 2015-16 financial year, Lives Lived Well saw 360 people, delivering about 2000 sessions of care with those numbers set to rise dramatically thanks to the expanded services helping to reach more people. He said it was difficult to pin down exact reasons why people would be find themselves entangled in addiction but cited economic hardship, family breakdown, unemployment, boredom, loss of connectivity, anxiety, low moods, as some of the common contributing factors. Stay tuned for Wednesday's edition of the Morning Bulletin when we will share a story of a recovered ice addict whose inspiring triumph against the adversity of addiction will give hope to many suffering and wanting change in their lives. People wishing to take the first steps towards addressing their use of alcohol or other drugs are encouraged to contact Lives Lived Well on 1300 727 957.